Lisa received this as her prize for the 25 Random Things drawing! 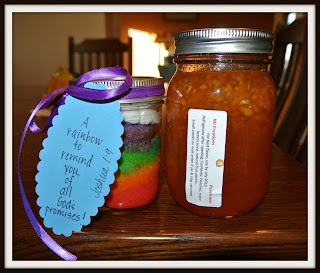 The Rainbow Cake in a Jar you can read about in this post! 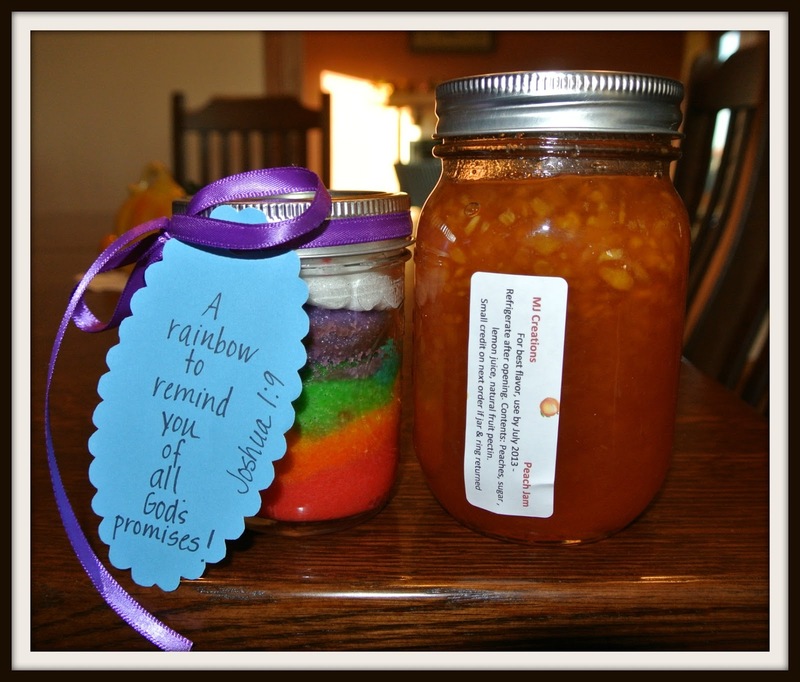 The other jar is homemade peach jam that Milton & I make annually!